We are less than one week away from Valentine’s Day. Putting aside the refrains of humbuggery that happen this time of year (It’s a commercialized invented “holiday”; you should show the one you love how much you love them every day; everybody else is doing it so why should we join the herd), it is time to put together a special meal for your special love. 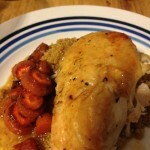 We’ll take a quick roundup of some dishes we have posted before worthy of a special meal. We’ll update this post in the next week with additional ideas and pictures until we get to Valentine’s Day. 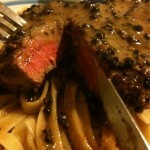 Steak Au Poivre – We put this out there for the first Valentine’s Day that we had here at Southern Ash. I stand by it as a great Valentine’s Day dish. Steak is a celebratory food for a lot of people and a really nice steak that you cook can make it special. 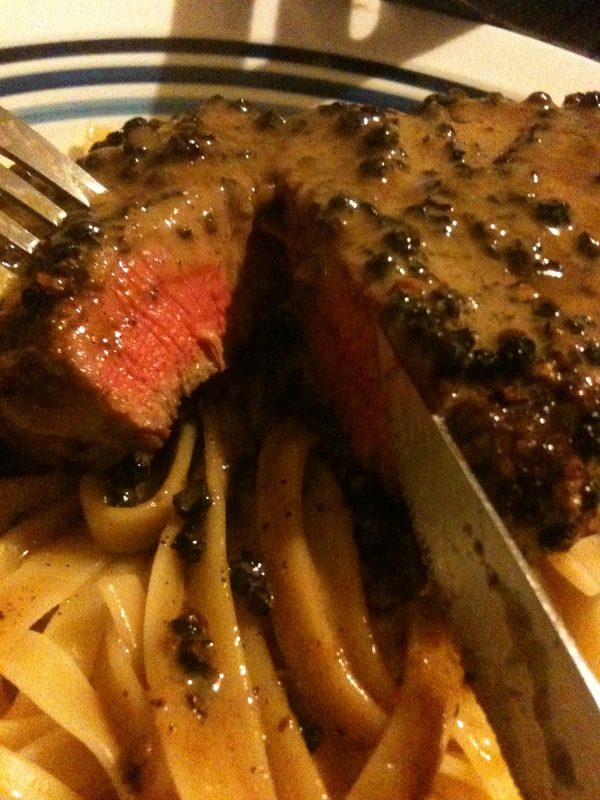 A reminder on the how to – sear off your peppercorn encrusted steak in a normal pan to create a fond that you then make into a sauce with cream, brandy, and a little bit of love. Add the hint of French cuisine and a sumptuous sauce to create a worthy dish. 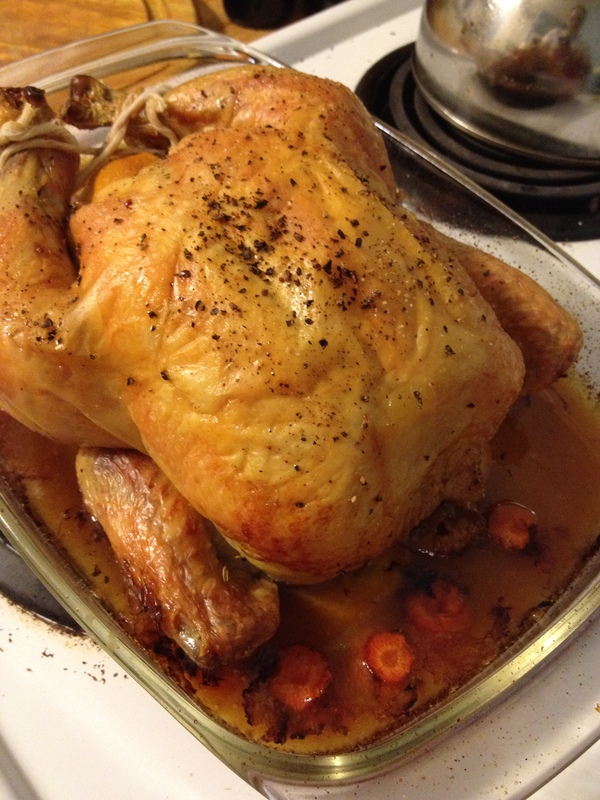 Roasted Chicken – Roasting a whole bird is a great meal, be it just a special weekday dish or as the basis for a Valentine’s meal. 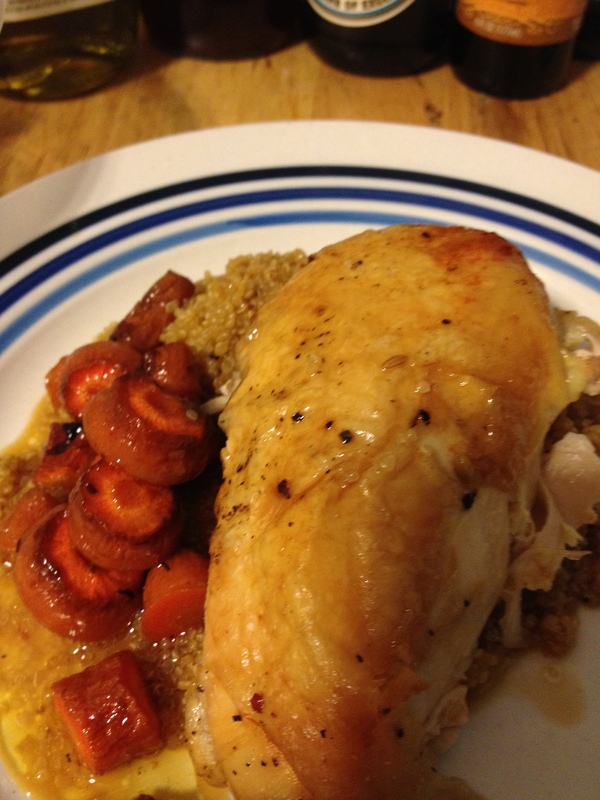 When you roast the entire chicken, you get the added benefit of a premade side by tossing root vegetables into your roasting pan to absorb the chicken drippings and lemony goodness we have described. Carve it before you take it to the table or carve at the table to give your special love a treat. 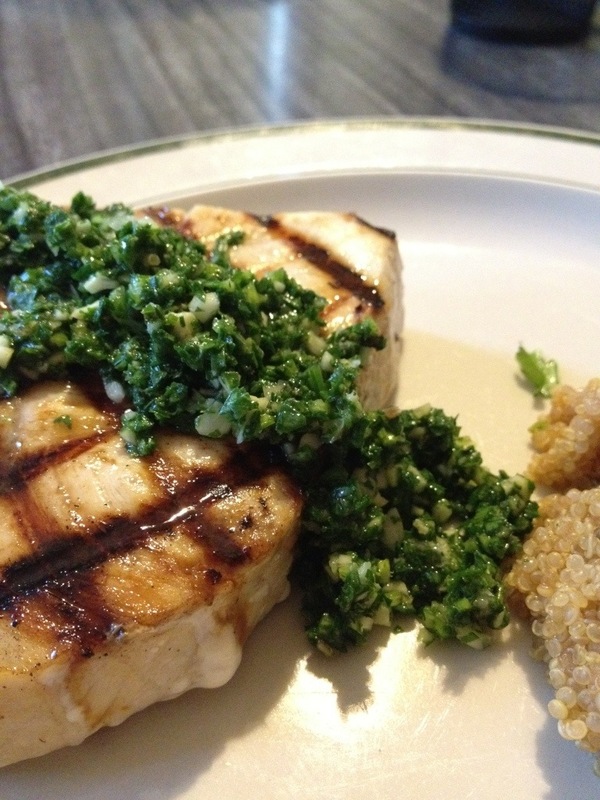 Grilled Swordfish with Salsa Verde – Swordfish is a fish that isn’t often used in the States so just by using it you can make the meal feel special. 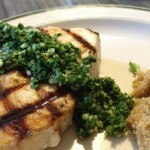 A simple grilled swordfish steak can be ramped up by the addition of an Italian salsa verde that marries the flavors of herbs, lemons, and olive oil. Baked Stuffed Portabello – We have not written this up as a full post, but we’ll add a photo and maybe a full post at some point. Take the wonderful earthy portabello mushroom and clean it. Turn it over and then add some filling to the open cap. I treat it a lot like a french baked tomato – bread crumbs, chopped parsley, chopped garlic, moistened with olive oil. You can use any herbage you want, but sage or rosemary can overwhelm the mushroom. Put the mushroom on a lined baking sheet in the oven at 450 degrees. About 30 minutes later, it should be wonderful, fragrant, and a delicious (vegetarian) entree for your special one. 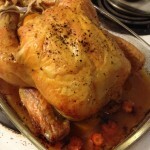 We already mentioned the roasted root vegetables in the bottom of the roasted chicken pan. It is hard to explain just how wonderful simple vegetables like carrots, potatoes, parsnips, and the like become when they are cooked with some of the same flavoring as the accompanying chicken. The stock in the bottom of the pan plus the chicken drippings makes these intensely flavored vegetables an easy and pleasing dish. 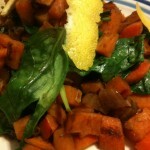 Our Sweet Potato Hash can offer a healthy and colorful side for any of these dishes. 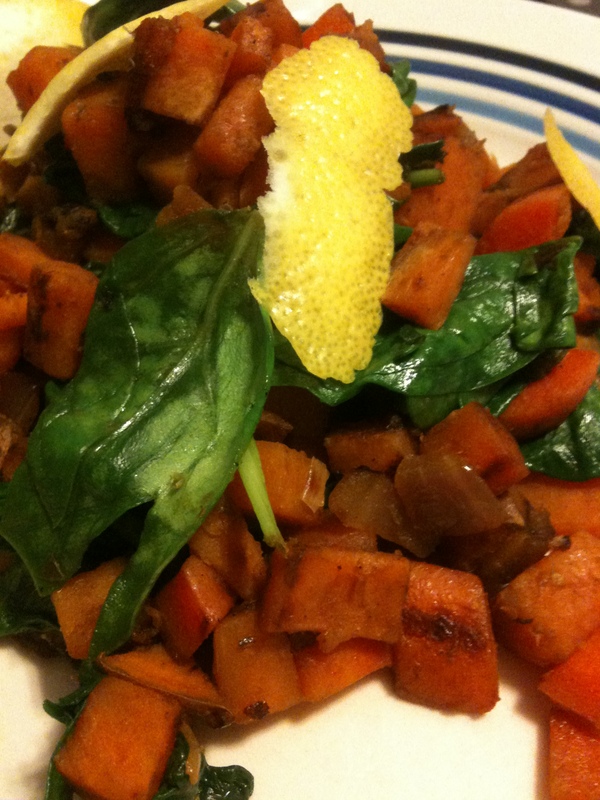 This extremely healthy side combines sweet potatoes, carrots, celery, onions, and spinach with some stock and maybe vermouth to par cook them to tender perfection with a drizzle of lemon juice an olive oil to finish the dish. 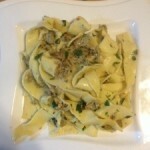 You can make the pasta with clam sauce as a suitable side as well. 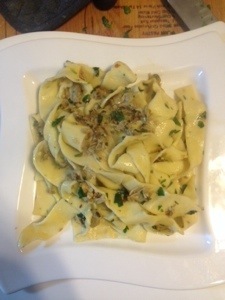 Even easier, pasta with aglio e olio! In a large pan, slightly warm olive oil with several crushed garlic cloves and dried red pepper flakes. 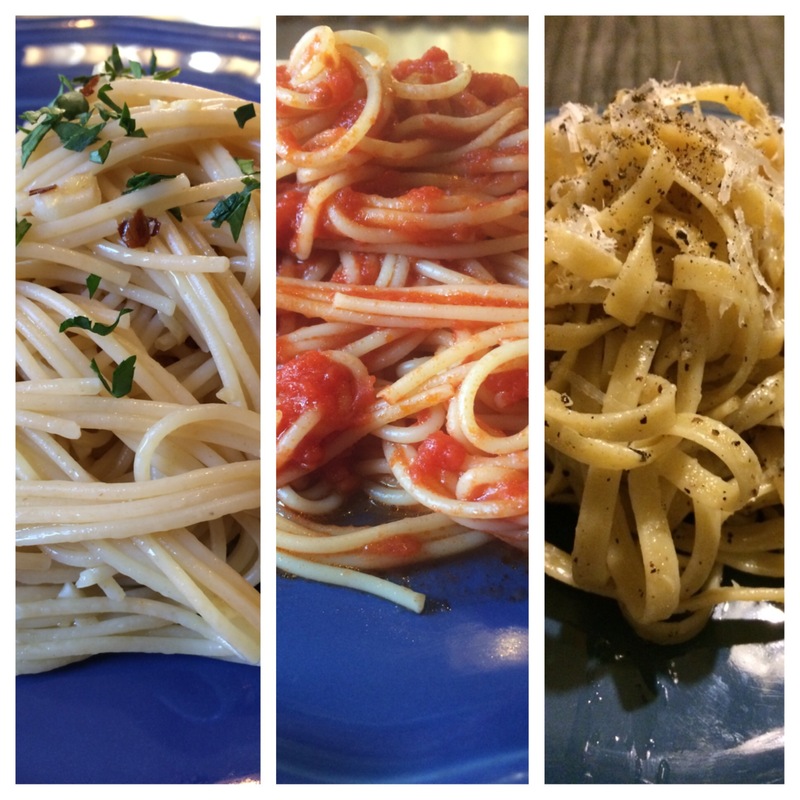 When the pasta is almost ready, toss it into the pan and coat it with the garlicky olive oil. Take it off the heat and add a pinch or two of chopped parsley. This section is a work in progress. Testing a few recipes right now and we will update some simple dessert recipes later this week. First, I hope that while you are cooking that you are wearing your apron or chef’s jacket to protect your clothes. You can take a look back at our Holiday Parties – Dinner Party guide for an idea on outfits. 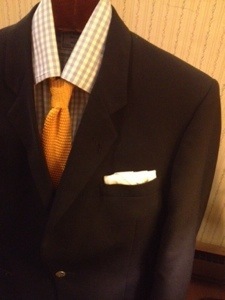 We will add this combination built around a button-down shirt and a cardigan you can throw on when you are done with the cookery! This makes it even easier to stay clean while cooking if your special ladyfriend is a fan of the cardigan. 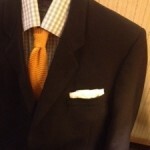 Light grey chinos, a blue patterned button down shirt, and a darker grey cardigan on top. 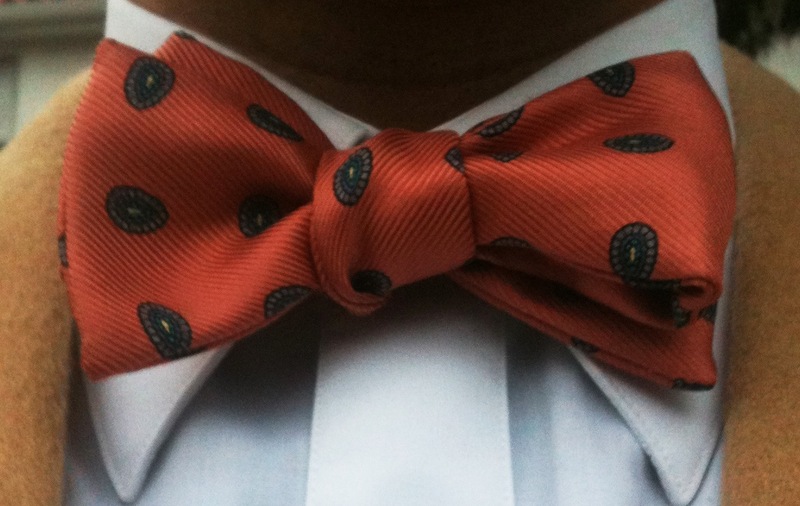 We’ll add some color in the shoelaces and it is good to go!